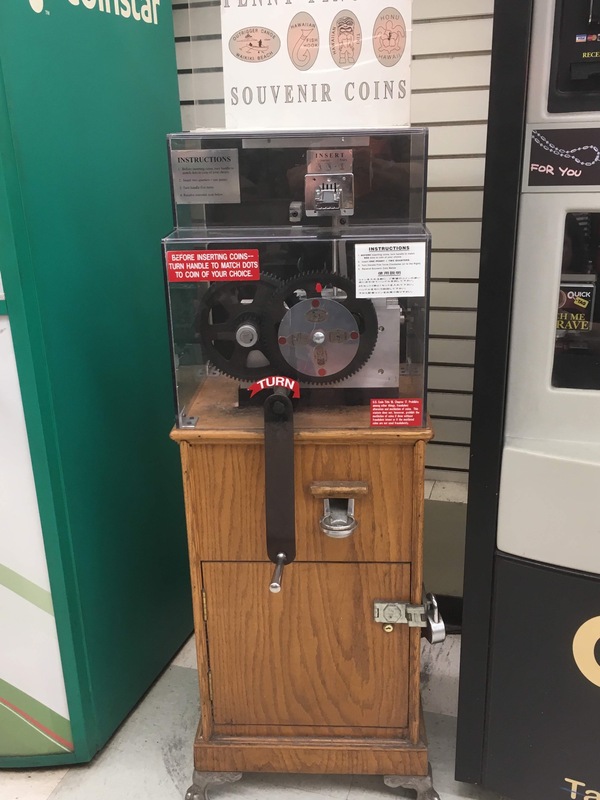 This machine is between the entrances, tucked in with the Redbox and Coinstar Machines. Hand cranked. MTamiesC added Waikiki Food Pantry to system.